THRIVING PET SUPPLY BUSINESS located in the main shopping village of Eastsound. The only complete pet supply store on the island, serving the local community as well as many visitors and part time residents. 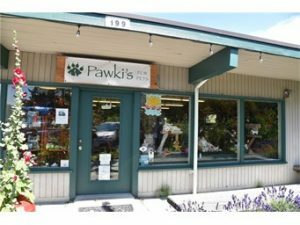 Pawki’s is highly regarded for a wide variety of products and personal service with plenty of room for further growth. The owners have worked the business with one to two part time employees and are retiring. 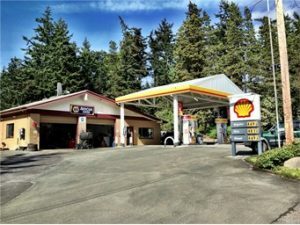 CRESCENT BEACH SHELL GAS STATION provides a great income producing opportunity with sales in retail, fuel, & auto repair. Upgrades include EPA approved fuel tanks, new canopy, pumps, pump island, fuel system and Shell upgrade in 2003. Extensive repair services currently offered along with propane sales. Great location with room to expand. Potential additional uses include equipment rental, nursery, mini storage, construction related, and 1 residential unit in conjunction with commercial use. HOTTEST VENUE IN EASTSOUND is now on the market! This exceptional building exudes casual elegance with it’s high end finishes, polished, hardwood floors, beautiful dining area, exceptional elevated stage and excellent commercial kitchen. List of major appliances in supplements. 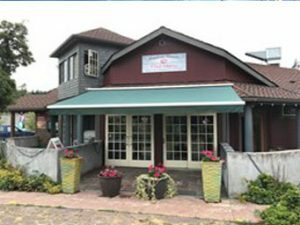 Currently used as a restaurant and live music venue, this immaculate building/venue is also the perfect site for private party/wedding receptions or as a fundraiser/event location. Commercial Zoning allows many uses. 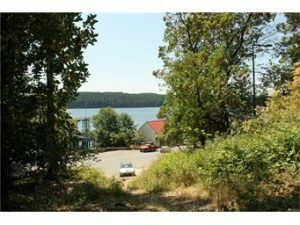 MULTI-USE ORCAS LANDING 5.15+ acre commercial property with many allowable uses including multi-family, hotel/motel, retail, office plus other variants (not industrial or light industry). Includes additional small WF parcel with second class tidelands, TPN #262222034, which is across the road. Includes a building along Killbrew Lake Rd that is in need of repair and multiple access options including a 40′ easement thru Eastsound Sewer and Water property. Great marine views of the Orcas Landing.